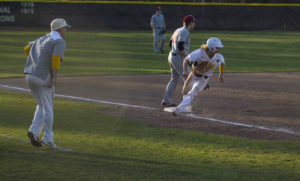 After a brief two-game skid last week, the Rowan baseball team won three straight games. 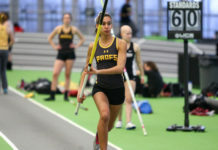 The winning streak started off with a 6-2 victory over New Jersey Athletic Conference (NJAC) rival Montclair State University. It was the second game in a doubleheader against the Red Hawks last Sunday. This year, Rowan has been one of the best teams among all Division III teams, based on their record (19-4), dominance and consistency. They’ve outscored opponents by 95 (168-73) and they’re 14-0 when scoring six or more runs. The Profs got to the 14 mark in said category with a 6-3 win on the road over Moravian College this past Monday. Junior left handed pitcher Dante Scafidi notched his third win of the season, putting him at 3-0 while senior Jordan Friedman tallied his second save of the year. Up 2-1 in the top of the seventh inning, junior first baseman Anthony Harrold hit his third home run of the season, a three-run bomb to put the Profs up 5-1. Moravian would put up two runs in the bottom frame, but it wouldn’t be enough as Rowan prevailed for the win. In the second road game of the week against SUNY New Paltz, the brown and gold used a third-inning power surge to squeeze in a 5-4 win in New Paltz, NY. After loading the bases with one out, Harrold, Monday evening’s hero, hit a two-run double to right. Senior captain Monny Strickland hit a two-run single to left in Rowan’s next at-bat. New Paltz had two cross the plate in the bottom of the frame and then another one in the bottom of the fourth. 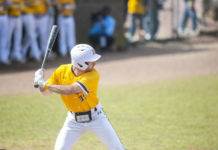 The Profs went to junior right-handed pitcher Victor Lebron in the fifth, who would allow just one hit in three innings. The Hawks attempted at a comeback in the bottom of the ninth as they scored one run with one out to make it 5-4, but freshman Dan Corvo got out of the jam, recording a strikeout and a groundout to end the game. Coming into both games, both opponents had eight wins in games decided by five or more runs. SUNY New Paltz was 8-5 in those scenarios and have had a total of eight postponed games so far this season. 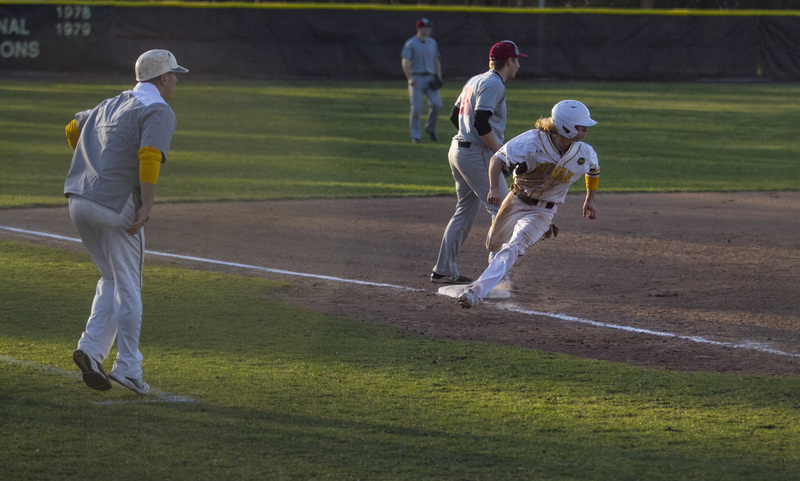 Despite only scoring a combined two runs in the team’s first two games in the NJAC against Stockton and Montclair, the offense has picked up the pieces ever since then and gotten out of their dry spell. During this three-game winning streak, they’ve outscored teams 17-9 and are hitting .288. Rowan returns home to The Nest on Thursday afternoon, when they host conference-rival Rutgers-Camden. For the Scarlet Raptors, they’re 4-1 in their last five and have won 11 of their past 12. Over their past five games, their starting pitchers are 2-1, with a 3.78 ERA and 7.2 strikeouts per nine innings. This season, Rutgers is 15-6 and 5-1 versus both conference and away opponents. This will be the first of two meetings this season for both teams.